So we move on from the sassy fest of our last post to a more reasoned approach this time around. We present today a rather invigorating rhapsody of whisky geekery on Auchentoshan Triple Wood. The issues raised by this particular malt’s style inspire a quick word or two on distillation, as Auchentoshan distills their Scotch whisky thrice, rather than the, I guess, more modern method of distilling two times, as Bourbon, Scotch and various others are. So, let us simultaneously welcome you warmly to this discussion and also apologize to those of you who would rather be electrocuted to death than read about whisky production. 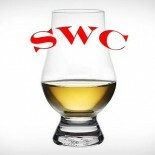 In the 18th century, most whisky in Scotland was distilled three times, especially in the Lowland region of Scotland. I don’t know what whisky tasted like back then, but I can tell you that the more you distill, the higher the ABV percentage and the purer that very alcohol gets. Think vodka. But there is a price: the more times you distill, the more flavor compounds are left behind. Distillation is essentially a stripping operation, so to speak, but technically, it is a way for alcohol to be separated from the beer that boils at the bottom of the still. This is done three times at Auchentoshan, hence their reputation for a lighter style. As time has passed, the Scotch industry now typically distills only two times, leaving in more flavor compounds that are inevitably stripped out depending on frequency and time length of distillation. After all is said and done, with this method you are looking at a new make spirit at 82% ABV. Kids, that’s high. If Auchentoshan is the answer for those who like single malt but wish to avoid intensity, then Auchentoshan Triple Wood is an attempt to compensate the other way. Triple wood is matured 10 years in ex-bourbon American oak, 1 year in oloroso sherry casks, then a final 6 months in the prized Pedro Ximenez sherry cask. This level of finishing quite nicely fills any supposed flavor gaps, and clocks in at a clean $65.00 a bottle. Nose- Obligatory sherry notes of dark dried fruits – raisins/dates. Cherry cola. Dry grass and a little mint. Citrus and mild soapy feel. Herbal and creamy sweet with time. Taste- Musty, dark chocolate. Blackberry and sweet apple. Dry oak. Finish – Hazelnut and sweet wine. Cinnamon and mint with bitter tannin. Spicy dry with medium length. Comment- Decent enough. Would have no idea this was 3x distilled with the variety of flavors bounding out of the glass. Dessert whisky with a tannic feel on the back end. Buying a second bottle is up for debate.